Senator Sumner returned to Boston in something resembling triumph. Though badly traumatized and still suffering from his assault by Preston Brooks, he came home a hero and a martyr. Sumner said a few words, in a much-diminished voice, in answer to his first reception. At the State House, he intended to try a longer oration. He made it through a halting sentence or so before calling it quits. Sumner lacked the volume and ability to go further, but naturally passed his copy over to the newspapers. Though visibly still an disability and debilitated, Sumner opted for more than the usual pleasantries. He regretted his five months convalescing, which kept him from arguing freedom’s case before the Senate and the people. No one could have missed the subtext: Sumner did want to go back to the Senate and his term did end fairly soon. They should vote for the Republicans so he could, or otherwise consider themselves friends to slavery’s swift advance. Spent, Sumner let the throng see him to the family home. There his mother waited. They took to a window and bowed to a cheering crowd before retiring. The public ordeal cost Sumner dearly. He complained of his usual pains, but not in vain; Massachusetts stuck with its fallen Senator when the polls opened. John C. Fremont, the Republican’s first presidential candidate, lost to James Buchanan but he carried Massachusetts with seventy thousand votes, fifty thousand more than went to Buchanan and Millard Fillmore (now running as a Know-Nothing) combined. Anson Burlingame squeaked by into a second term as well. Republicans swept the state elections. His visible infirmity even convinced the previously opposing Boston Herald to endorse him. As customary at the time, Sumner pretended he had no interest in his own re-election. In private, he kept a close eye on Governor Gardner, Burlingame, and others who though Sumner’s chair entirely too empty. He would speak about resigning only to then mention those connivers who wanted to succeed him. If a good, reliable man stepped forward then Sumner might change his mind. He named Charles Francis Adams, confident that no one would get behind that ticket. When January came around and the new legislature met, Sumner promised he would resume his duties within the month. He had a duty and would persevere, despite his continued infirmity. As in his previous election, Sumner could feign aloofness in part because friends worked avidly on his behalf. The Bird Club, a group of antislavery politicians and intellectuals founded by Sumner’s friend Frank Bird, worked behind the scenes to get the senate election safely concluded and their man another six years as soon as possible. That proved soon indeed; the Massachusetts House voted before Governor Gardner’s inaugural address arrived. Only twelve men voted against Sumner. The Senate took up his candidacy four days later and approved it on a unanimous voice vote. Since coming to Washington, Charles Sumner had learned he could make friends with slaveholding Southerners and that he could make speeches which would please critics, as well as the kind that set them against him. His ability to speak eloquently, if not always with the most graceful style, set him apart from the crowd. He prided himself on his erudition and a complete lack of anything resembling a joke. Having the advantage of considerable height and good looks didn’t hurt either. Sumner exercised his talents in finessing Lajos Kossuth and on behalf of a land grant for a railroad, but managed to avoid speaking on slavery. The coalition which elected him on the basis of his antislavery politics had reason to expect something on that front and feared he may go soft on the cause. Conservatives in Massachusetts hoped that Sumner would soon betray those who elected him. We may remember Sumner as the man of three backbones and steadfast foe of slavery, but they didn’t know how things would turn out. In late 1851 and early 1852, Sumner appeared bent on living down to expectations. Sumner had damned Millard Fillmore for signing the Fugitive Slave Act of 1850. When Fillmore visited Boston, Sumner made a courtesy call. When the elections of 1851 came around, Sumner avoided campaigning for his own coalition. As the presidential campaign of 1852 heated up, he refused to support Winfield Scott despite Scott’s soundness on slavery specifically on the grounds that he expected more antislavery action on the Democratic side. He believed his Free Soil party should stand apart even when the Democracy chose Franklin Pierce as their man, instead throwing himself behind John P. Hale in a hopeless cause. 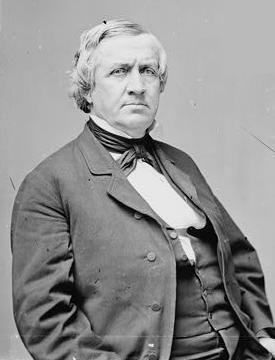 Sumner refused to act even on a petition sent by his constituents for the release of two men who tried to smuggle fugitive slaves out of Washington. The Free Soilers had not voted for anything like this. Four and a half months into his tenure, Sumner had done nothing on his signature issue but sit idle. His public did not know that he had taken up lobbying Fillmore in private for the release of the men. Sumner well knew that if he told any Garrisonian, the news would appear in the Liberator almost before the ink on the letter dried. Then Fillmore would look like a man capitulating to the radicals and refuse to act. The President showed no eagerness on that front even without the publicity problem, not delivering pardons until August. The release of fugitive-abettors in Washington risked their rearrest by southern partisans, maybe even mob action, so as soon as Sumner had the news he drove to their jail. He packed the newly freed men into a carriage with a friend of his and the friend’s gun, then sent them off to the North in haste. Henry Adams, the fourth generation of his family to appear in this blog, brought the good news to Charles Sumner twice: Massachusetts chose him as its new senator. 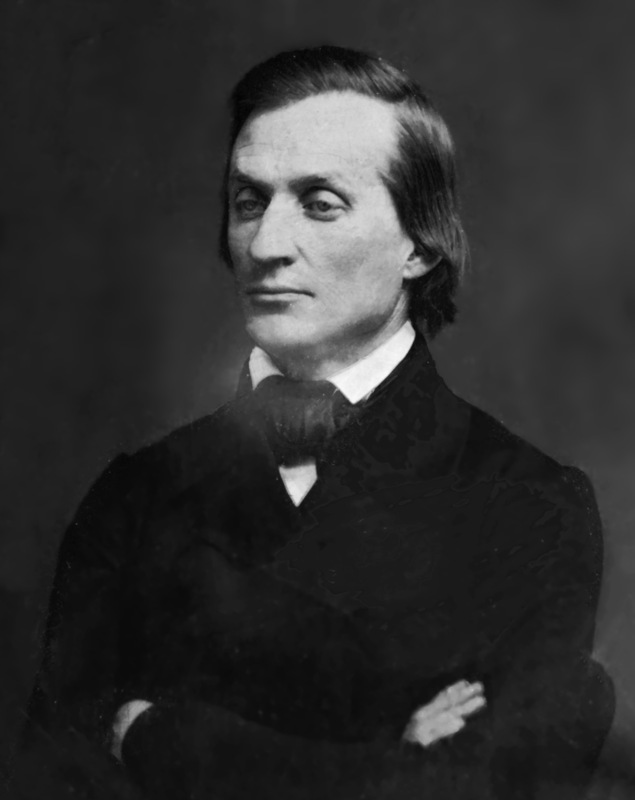 Sumner, with no previous experience in office and a stormy career as a spokesman and activist for prison reform and against war and slavery, had reason to doubt his abilities. Winning appeared relatively easy. Governing, if Sumner had any opportunity to at all, would prove harder. Washington and its politicians had displeased a much less radical Sumner on his one prior visit and he had come to public life only with some reluctance and the encouragement of John Quincy Adams. Barely elected at all, after great struggle, and by a coalition damned by members of both national parties, Sumner lacked the wind at his back that a newly-elected man might hope for. Nor could he dream of putting his stamp on the nation while he remained a member of a tiny minority. His rhetoric, the one area where he might reasonably expect to excel, would now face opposition from skilled proslavery debaters. To employ it to any use, Sumner would have to master the Senate’s arcane rules and traditions or risk making a fool of himself. I have been requested to present the credentials of Charles Sumner, a Senator elect from the State of Massachusetts. Thomas Hart Benton, just defeated for re-election courtesy of David Rice Atchison, had a more sympathetic but just as disheartening welcome for Sumner. He told the new senator that all the great men had gone and taken the great issues of the day with them. Settling down into the desk previously occupied by Jefferson Davis, Sumner could look across a chamber with few allies. New Hampshire’s John Hale seemed like a shady character despite their shared party. He got on better with Salmon P. Chase. Sumner feared William Seward, who he otherwise liked, would always put Whiggery above antislavery. 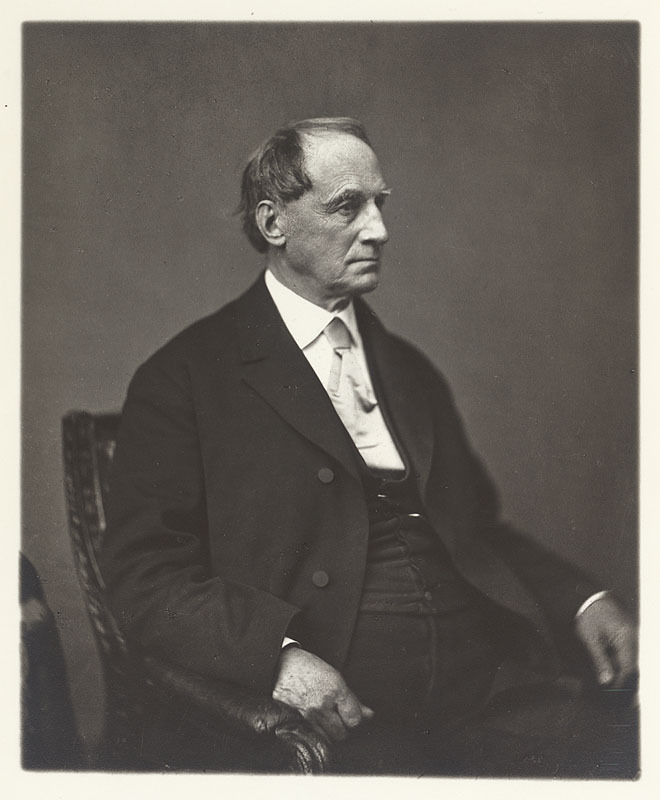 Hamilton Fish, Seward’s New York colleague, lamented Winthrop’s lost seat but went out of his way to make Sumner welcome. Sumner found unlikely friends among the chamber’s Southern contingent. They knew many Yankees made antislavery speeches back home, but what went on back home didn’t necessarily translate to personal relationships in Washington. Soon Massachusetts antislavery extremist claimed Pierre Soulé as his best friend. He likewise befriended Andrew Pickens Butler, who sat next to him. Seeing in Sumner a man who knew his classics, Butler relied on him to check the quotations he planned to use in speeches. In these situations, and otherwise socially, Sumner declined to raise his antislavery opinions and instead talked or history and far-off happenings. Soon Sumner settled, if not entirely comfortably, into the regular spin of Washington society. With everyone far from home, the political class formed their own small world with an unending cycle of dinners and other social occasions where they entertained each other in small groups for a large portion of the week. 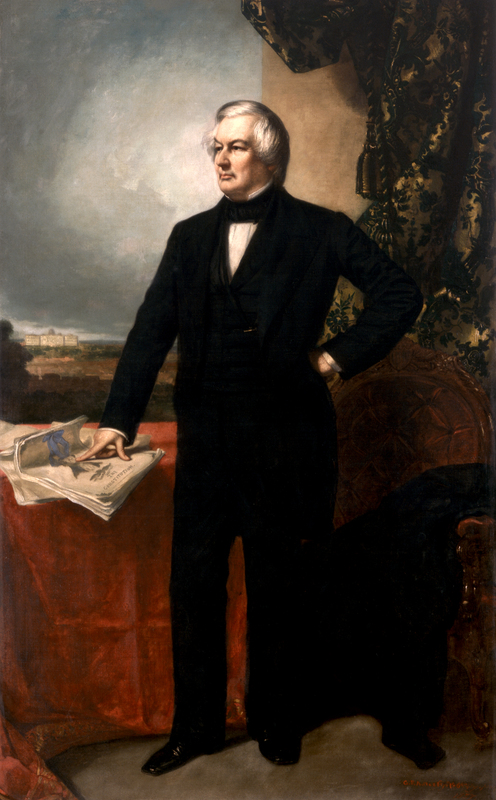 A single week of his first month saw Sumner hosted by Millard Fillmore, the French Minister, and Francis Blair. His party might earn him political isolation, and a few men rubbed Sumner wrong or took a dislike to him, but he didn’t suffer much from personal ostracism. With the elections of 1850, the Free Soil-Democrat coalition took control of Massachusetts. That coalition did not amount to a full fusion movement, but rather the local Democracy and Free Soil elements jointly agreeing on individual candidates while remaining independent. Massachusetts still returned a Whig plurality, but the Democrats and Free Soilers together outnumbered them. With victory in hand, the real horse trading began. The Free Soilers agreed to back the Democrat’s man for governor, George S. Boutwell, as well as the lieutenant governor and various officers in the legislature. The Democracy could also place their own man to finish the rump of Daniel Webster’s last Senate term. The Free Soilers claimed the state senate presidency and the full term for the United States Senate beginning on March 4, 1851. The leadership of both groups hashed out the settlement and presented it to their caucuses, who agreed. 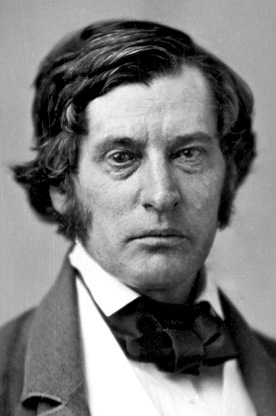 On January 7, the Free Soilers nominated Charles Sumner to go to Washington by a vote of 84-1. The Democrats concurred, with only six opposing. The Whigs promptly erupted at the outrageous trading of offices, on the grounds of keeping politics pure and free from interested men and, incidentally, because they lost. Daniel Webster blamed the failure at the polls on his replacement in the Senate, Robert Winthrop. Winthrop refused to endorse the Fugitive Slave Act and that torpedoed Whiggery’s chances by making him look like a crazy abolitionist. He should have gone all-in on the entire Compromise of 1850. 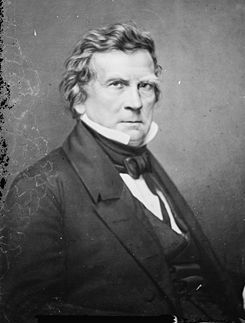 Godlike Dan, Secretary of State for Millard Fillmore, set to purging Sumner men from the civil service and aimed to lead his Boston Whigs into a new organization. Webster had wished for a party all to himself for probably as long as he had considered himself a Whig of any kind and the fraught times must have seemed ripe enough for another go. His supporters set about wooing the new governor, who had positioned himself as a pro-Compromise man in his inaugural. Not every Massachusetts Whig, present or former, bought what Webster tried selling. Far more of them believed Black Dan’s course an excellent way to lose elections and remained open to some kind of alignment with ex-Whigs in the Free Soil movement. 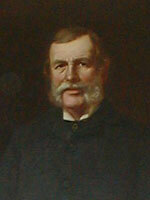 They had Charles Francis Adams in mind for the Senate. On the other side of the aisle, the Democracy cared more for breaking Whig dominance than advancing Sumner’s career. But since the senate seat meant less to them than action at the state level, and Sumner had worked well with Democrats before, most found him acceptable. A minority led by Caleb Cushing felt otherwise and kept strategic silence during the office trading, right up through Boutwell’s election. Then he led them out to make their own caucus against Sumner, the “Indomitables.” More than thirty strong, they had enough votes to swing the senate election against either Winthrop, Webster’s man again, or Sumner. Cushing hoped to defeat both and make himself a senator in the name of conservative Whiggery. Failing that, he turned to Edward Everett. Mainly, however, Cushing put pressure on the coalition Democracy with help from Lewis Cass and other party luminaries. That, Webster’s wooing, or both moved Boutwell to disclaim any interest in Sumner’s election, pawning the matter off on the legislature. From reminding the men of Massachusetts of their “immediate antislavery duties”, Charles Sumner proceeded to attack the Compromise of 1850 in general. The Fugitive Slave Act deserved an execration all its own, but the Congress had also just committed “enormities of legislation” that condemned vast swaths of land to slavery, both in yielding to much of Texas’ literally Texas-sized territorial claims and in organizing Utah and New Mexico territories without a slavery prohibition. Furthermore, slavery remained legal in the District of Columbia, the interstate slave trade remained untouched, and “the Slave Power still dominant over the National Government.” He would have none of the finality that the shaky compromise coalition pronounced the balm for the nation’s wounds. Nothing can be settled which is not right. [Sensation.] Nothing can be settled which is against Freedom. Nothing can be settled which is contrary to the Divine Law. God, Nature, and all the holy sentiments of the heart repudiate any such false seeming settlement. Slavery is wrong. It is the source of unnumbered woes, -not the least of which is its influence on the Slaveholder himself, rendering him insensible to its outrage. It overflows with injustice and inhumanity. Language toils in vain to picture the wretchedness and wickedness which it sanctions and perpetuates. Reason revolts at the impious assumption that man can hold property in man. As it is our perpetual duty to oppose wrong, so we must oppose Slavery; nor can we ever relax in this opposition, so long as the giant evil continues anywhere within the sphere of our influence. Especially must we oppose it, whenever we are responsible for its existence, or in any way parties to it. Sumner repeated the standard line that slavery damaged white virtue, which must sound as callous to us as it did important to them. Talking about slavery shouldn’t mean a speech all about white Americans suffering abstract, moral injury when black Americans suffer grievous bodily harm. But previous parts of this series have addressed Sumner’s view of slavery’s inhumanity to the slave and teased something at least tending toward racial egalitarianism. He went there first. He also has a point. We accept or reject certain exercises of power out of habit as much as principle. Enslavers who declared that the color line immunized whites from their brutalities would soon put that principle aside in Kansas. They already did at home, ruthlessly policing dissenters into silence or driving them from slave states. They had gagged the House of Representatives for eight years. They even then demanded white men of the North join their slave catching operations. Once a person becomes used to wielding power uninhibited in one way in one context, the inhibitions against doing the same in another become that much weaker. The Slave Power did not seek to enslave whites, but it had demanded and often received assurances that all white men would act as its agents. The threat to white freedom should not dominate our understanding of slavery, but nor should we entirely neglect it as a product of paranoid, racist minds. Charles Sumner preached resistance to the Fugitive Slave Act. The good men of Massachusetts could do no less, lest the spirits of their Puritan and Revolutionary fathers rise up against them. To submit to such an unjust law, such an offense against Heaven, Massachusetts manhood would unman themselves and sink to the level of African potentates who sold the slaves to white men to begin with. Heroic self-stealing fugitives, black men, would rightly look down upon white Massachusetts. This all took Sumner right to the brink of suggesting armed resistance. Some in the crowd might have gone for that, but northern men did not win election to the United States Senate by preaching revolution in 1850. That honor belonged, sometimes and increasingly, to southerners. Sumner abjured any violent intentions, the language of force aside. I suspect he meant to imply that one could resist a private slave-catcher by force, but ought to find other methods for an officer of the national government. One could also read his remarks as a wink and nudge for anybody who did want to rough up a US Marshal, with the understanding that Sumner himself couldn’t go on the record for that. like the flaming sword of the cherubim at the gates of Paradise, turning on every side, it shall prevent any SLAVE-HUNTER from ever setting food in this Commonwealth. I would not touch his person. Not with whips and thongs would I scourge him from the land. The contempt, the indignation, the abhorrence of the community shall be our weapons of offence. Sumner’s Massachusetts would deny the slave-catcher “roof, fire, or water”. The communities would not accept him, but “they shall vomit him forth.” All of that went double for any low life who would volunteer to aid in slave renditions. The Daniel Websters and Millard Fillmores had best not forget it. Charles Sumner stood before the Free Soil meeting at Faneuil Hall on November 6, 1850, and gave the crowd the kind of speech they wanted. Outraged by the Fugitive Slave Act, he told them that Millard Fillmore ought never have been born rather than sign the bill into law. He invoked the American Revolution, by way of John Adams, and Massachusetts’ Puritan heritage in the person of John Winthrop to defend resistance to fugitive renditions. The passions of the past had not faded from the Bay State yet, but instead the children of the city on a hill felt “unconquerable rage”. In the old days, they “held up to detestation” men who favored the Stamp Act. Then Sumner went for audience participation. He asked the free soilers if they should give “the Slave-Hunter” a pass. That put Sumner in an awkward spot, at least for the purposes of performance. He told the free soilers that he “sustain[ed] an important relation to this Bill.” When just starting out as a lawyer, Joseph Story named him a commissioner of the court. Though he did little work in that capacity, Sumner’s name remained on the rolls. As such, I am one of those before whom the panting fugitive may be dragged for the decision of the question, whether he is a freeman or a slave. But while it becomes me to speak with caution, I shall not hesitate to speak with plainness. I cannot forget that I am a man, although I am a Commissioner. This all made for great theater, but Massachusetts had late experience with politicians who had preached antislavery now and then but found themselves obligated to defend the institution in the course of their duties. 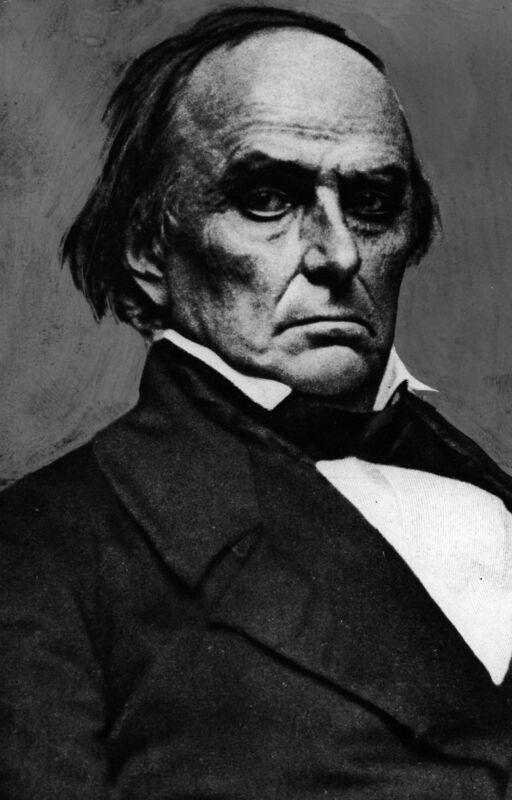 No less a Bay Stater than Daniel Webster had come out in favor of the Compromise of 1850, preaching Union above all. Sumner would do none of that. Nor did he think anyone else should, though he did not presume to judge officials who did. A magistrate in such a position should, Sumner averred with no judgment at all, resign his office. They would answer to their consciences, not the man on the stage. Surely no person of humane feelings and with any true sense of justice, living in a land “where bells have knolled to church,” whatever may be the apology of public station, can fail to recoil from such a service. For myself let me say, that I can imagine no office, no salary, no consideration, which I would not gladly forego, rather than become in any way the agent in enslaving my brother-man. But no pressure, fellow officers of the court. Gentle Readers, we followed David Rice Atchison out of Kansas and back in time to meet his friend and messmate, Andrew Butler. Now comes time wind the clock back a little farther and introduce another important figure in the Kansas struggle. On November 6, 1850, Charles Sumner addressed (PDF page 140) a Free Soil meeting in Faneuil Hall. Sumner began by disclaiming any interest in the Massachusetts election a few days hence, as a candidate for office should in the fashion of the time. Sumner presented himself as a man concerned with “Freedom above all else.” The various coalitions his Free Soil party had made with antislavery Democrats and Whigs warranted a favorable mention all the same. Sumner turned then to the Congress. For things have been done, and measures passed into laws, which, to my mind, fill the day itself with blackness. what act of shame, what ordinance of monarch, what law, can compare in atrocity with this enactment of an American Congress? […] Into the immortal catalogue of national crimes it has now passed, drawing, by inexorable necessity, its authors also, and chiefly him who, as President of the United States, set his name to the bill, and breathed into it that final breath without which it would bear no life. Better for him had he never been born! Better for his memory, and for the good name of his children, had he never been President! We talk about polarization and hostile rhetoric today, but our opposition party rarely declares a sitting president ought never have existed. Even hot under the collar proslavery rhetoric rarely goes that way, though veiled threats of violence make a fair equivalent. This Liberty is the proper end and object of authority, and cannot subsist without it; and it is a liberty to that only which is good, just, and honest. This liberty you are to stand for, with the hazard not only of your goods, but of your lives, if need be. Whatsoever crosseth this is not authority, but a distemper thereof. “Surely,” Sumner said, the passions of Massachusetts had “not so far cooled” to let the submit to the Fugitive Slave Act. That old “unconquerable rage” at the stamp enforcers had not left Massachusetts yet. On May 16, 1854, Solon Borland came to Greytown. He arrived via an Accessory Transit Company steamer under the command of a Captain Smith. Smith had a longstanding dislike of a black pilot who once worked for the Company. When Smith saw Antonio’s boat out on the river that day, he apparently decided to ram and sink it with his larger vessel. Antonio saw Smith coming and called out that should Smith ram him, he would shoot Smith. Smith rammed Antonio anyway, failing to sink his boat. When the passengers came on deck to find out what transpired, Smith told them that he’d lost control of his rudder. Just a little fender bender. Smith got his vessel underway again and left it all behind him. Solon Borland gave Smith a talking to. Would he let a black man speak to him like that? Why didn’t he shoot Antonio? By the time Borland convinced Smith that his white manhood and honor hung in the balance, Smith’s steamer had gone half a mile or more down the river. Smith turned it around and went back, going below to get his rifle while the vessel went upstream. He came out and found Antonio, took aim, and shot him dead. Then the vessel resumed its prior course for Greytown. The Greytown authorities soon involved themselves. A coroner’s jury, attended by United States commercial agent Joseph Fabens, agreed that Antonio died not at the hands of the mysterious Nicaragua Bullet Tree but rather at the hands of another person. Acting doubtless on the testimony of many of Antonio’s employees on hand when the shooting occurred, they pinned the blame on Smith. The constabulary duly went off and presented themselves at Smith’s ship. Smith, feeling some remorse at having been browbeaten into murder, seems to have intended to cooperate until Solon Borland once again inserted himself. He drew up a rifle or pistol, accounts differ as to which, and threatened to shoot any members of the Greytown constabulary who set foot on deck. Borland declared his credentials as the American minister to Central America and called on his fellow passengers to help him. They did not leap to the task, but Greytown’s officers of the law exhibited the common allergy to bullets and opted not to risk Borland’s aim. They left without Smith. Borland took himself to the home of Joseph Fabens. Word got around Greytown that Borland had Smith with him and an angry mob gathered outside Fabens’ house. Borland came downstairs and ranted at the mob for a while, denouncing them as, among other things, the scum of Hell. Someone threw a bottle and hit Borland in the face. Greytown’s mayor arrived, denounced the mob, apologized to Borland, and offered a reward for the capture of the man who threw the bottle. If we believe a man who saw Borland the next day, the bottle might have hurt his pride. Fabens, however, told it that the bottle cut open Borland’s head. He went out to the American ships at anchor in the harbor seeking guns, ammunition, and men all of ten minutes after the confrontation with the mob. What did Fabens want those men and arms for? Mr. Borland had been seriously injured by a parcel of rebels and pirates, and niggers in the town, and appealed to them as Americans, if they would suffer their Minister to be insulted, and called for volunteers to go and burn the town. Fabens got together eleven men for his planned arson, but word had gotten back to Greytown. Possessing a strong aversion to having their homes and businesses burned to the ground, the people refused to let him and his band come ashore. They would permit Fabens alone, but not his gang. Nobody besieged or detained Borland at the Commercial Agency, but he apparently considered himself under arrest because of all this. Somewhere along the way, Borland also hired on a guard for American property in Greytown at the State Department’s expense. Borland left town the next day. Fabens wrote to William L. Marcy, the Secretary of State, about how Greytown had set itself against the Transit Company, stolen its property, and generally made itself a nuisance. Only on May 30th did Fabens elect to write Marcy about what happened with Borland. Borland’s own letter explaining himself bears the same date. The time has more than come for a step back to organize what I’ve culled from Horace Greeley’s reprints of the documents about Greytown, Solon Borland, and the Accessory Transit Company. The documents, and thus my posts, have wandered back and forth through time, disagreed with one another, and addressed far more concerns than I expected when I took on the project. Today I aim to fit it all into a general narrative as best I can. Greytown began, barring Indian settlements at the same spot, as San Juan del Norte, at the mouth of the San Juan river. Though technically a Spanish possession, then part of the United Provinces of Central America, and then part of Nicaragua, the entire eastern coast of modern Nicaragua and Honduras rarely felt the firm hand of national government. At various points in the past, the British had facilitated immigration from Jamaica to settle friendly sorts in the hinterlands, with an eye to how the whole area sat astride the best route for a canal across Central America and how it would best serve British interests to keep it out of the grasping hands of the United States. The British had good reason to worry, since the United States made off with half of Mexico in 1848 and briefly considered taking the whole nation. The smaller, unstable republics of Central America would find it difficult to resist American aggression and might even fall to private adventurers who would steal them with an eye toward annexation to the United States or to building their own little empires in the tropics. 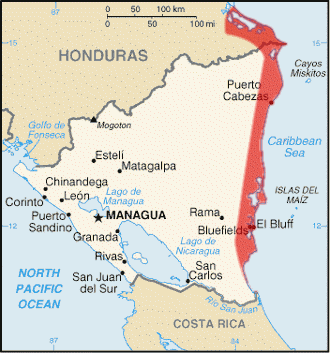 To deter American expansion, the British declared a protectorate over the Mosquito Coast, essentially the entire eastern coastline of modern Nicaragua and part of Honduras. They also seized San Juan del Norte, drove its previous inhabitants out, and renamed it Greytown. For around four years, the British Empire ruled the area more or less regularly as a colonial possession. But Democrat James K. Polk gave way to Whig Zachary Taylor, who then died and put Millard Fillmore in the White House. Neither Whig had Polk’s appetite for land. Fillmore even cracked down on filibustering. The Whigs and the British reached an agreement to commit to a neutral route across Central America and future canal, laid out in the Clayton-Bulwer Treaty of 1850. With things apparently settling down and more neighborly Americans in office, the British withdrew from Greytown in 1852. The Greytown locals, a fairly international lot, established their own government with a proper constitution, elections, and the usual officials. When Greytown convened to establish its government, the Accessory Transit Company took an interest. 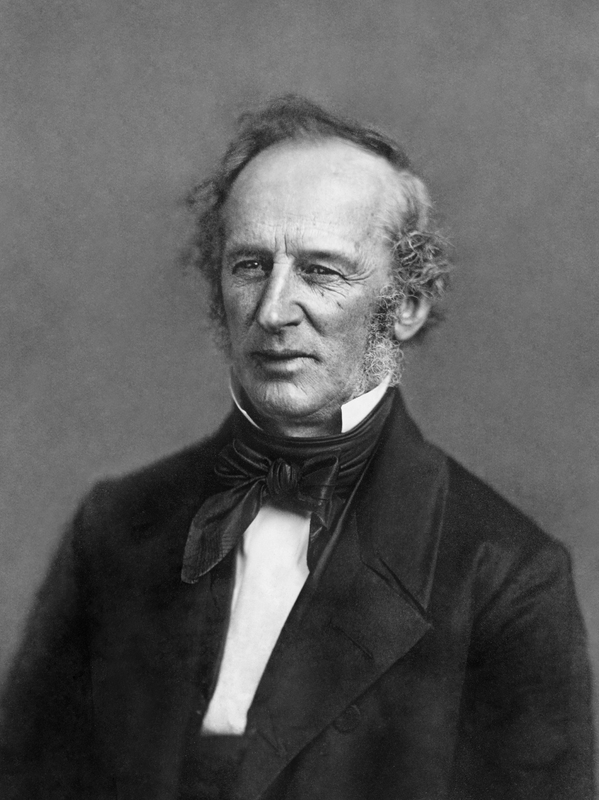 This American firm, founded by Cornelius Vanderbilt but lately under the control of schemers who seized it while he vacationed in Europe, ran steamer routes through Nicaragua to California and so had much invested in Greytown. Thus the company hauled all its employees in to vote and ensure the election of a friendly government. The Transit Company had rented a piece of land called Punta Arenas from the British. This land fell within the new Greytown government’s jurisdiction, which expected rent under the previous arrangement. The Transit Company declined to pay. For a good six months, the Transit Company treated Greytown’s government as entirely legitimate. It sued and defended itself in Greytown courts. But the Transit Company really did not want to pay its rent and so decided after those first six months that the Greytown government had no legitimacy after all. Company policy dictated a policy of ignoring Greytown’s demands. At some point along the way, an illegal squatter set up a boarding house in Greytown that the Company began to lease for its employees. Greytown could do little about Punta Arenas miles away, but had the boarding house right at hand. The owner had set it up illegally, after all. He didn’t own that land and had no right to its use. The Greytown authorities apparently confiscated the property and kicked the Transit Company boarders out. The United States recognized Greytown’s government, after a fashion. Washington did not dispatch a consul or minister to handle its affairs, but the State Department did dispatch a commercial agent. That agent, Joseph Fabens, almost certainly worked for the Transit Company in addition to his official duties. Fabens sent a series of dispatches to Washington playing up how things had gone out of control and the Greytown government had it in for the Transit Company and Americans in general. Whatever Fabens’ superiors in Washington thought of those dispatches, the generated no dramatic orders or changes in policy. All of this brings us to May of 1854, when Solon Borland came to Greytown. I’ll have much more to say about him and his doings in the next part.